Micro markets are becoming very popular within workplace settings as an addition to vending machines. They are perfect for any break room or work campus because they can cater to any meal or snack craving and offer a variety of healthy options. Although they are becoming prevalent in today’s professional setting, some are still learning about what they are. To make it easy on you, I have made an overview for all of your questions regarding micro markets; everything you need to know in one place. Imagine your break room or work campus having a mini on-site store filled with fresh, healthy sandwiches, salads, wraps, fruits & vegetables, chips, candies, beverages, and more. Simply put, that’s exactly what a micro market is - a custom designed market with a self-checkout kiosk. Although the concept is not new, it is rapidly becoming more popular with over 10,000 micro markets in workplaces across the U.S. Click here to learn more. The technologically advanced concept of micro markets adds value and benefits to workplaces, not to mention better lunch and snack break experiences for your employees. 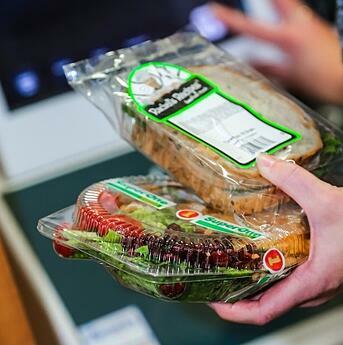 Micro markets give your company the freedom to have a large selection of hearty meals, snacks, sweet treats, and beverages with the easy and efficient self-checkout kiosk. The self-checkout kiosk incorporates high technology to track inventory and consumer preferences. The best part? When partnering with Bernick’s for a micro market, we deliver, install, maintain, and repair, all for free. The Cost of a Micro Market? Zero. Hard to believe? Don’t let it be. Bernick’s doesn’t require any kind of investment from you when it comes to micro markets. We deliver, install, repair, stock inventory, and mount security cameras for the price of $0. Still think there’s a catch? There isn’t. Click here, and we’ll prove it. There are just three critical things Bernick’s needs from you for your micro market. Three. That’s it. After being sure you can provide us with these common necessities, you can let your micro market shopping begin. Micro markets are a way to offer your employees and/or customers a convenient, efficient, healthy way to find their preferred food or drink. They can satisfy the needs of breakfast, lunch, or mid-day snacks. Choosing this system allows you to offer a variety of food and better for you options. They just make sense. Interested in learning more about micro markets and how they work? We have a variety of resources to help answer your questions! Visit our micro market webpage online, download our All-In-One Guide to Micro Markets eBook or you can get in touch with a Bernick’s micro market specialist. If you want to start picturing what a micro market might look like for you, check out our YouTube page to see the micro market concept in action.